The turmoil in St. Louis continues. 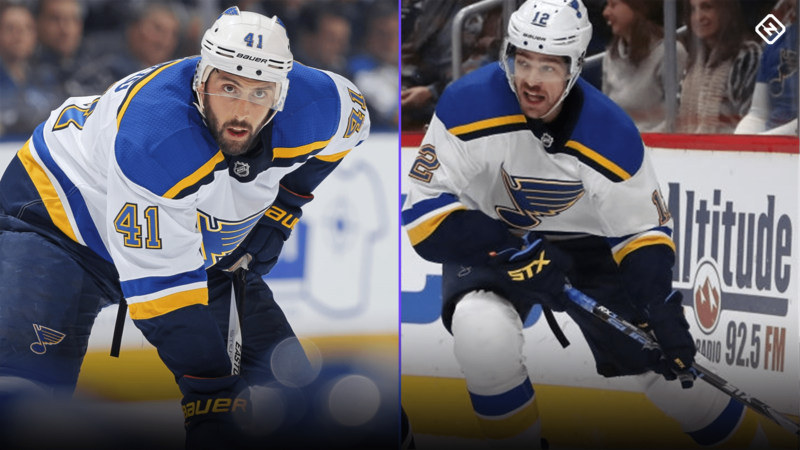 Following a 6-1 loss to the Vancouver Canucks on Sunday, frustration carried into Blues practice on Monday as defenseman Robert Bortuzzo and forward Zach Sanford dropped the gloves. Robert Bortuzzo and Zach Sanford dropped the gloves at #STLBlues practice today. What caused the fight is unclear, but the St. Louis’ performance this season certainly can’t help to ease tension. The Blues have the third-lowest point total in the league with 24 points, which is just one point more than the last-place Los Angeles Kings and Chicago Blackhawks. Since Craig Berube replaced Mike Yeo on Nov. 19, the Blues are 3-5-1 with a minus-14 goal differential during that span. As for the players involved, Bortuzzo has one goal and two points along with a -5 plus/minus in 10 games this season. Sanford has played a bit better as he has four goals and nine points with +2 plus/minus in 23 games this season. Can the fight get St. Louis out of its funk? The Blues host the Florida Panthers on Tuesday and play two more games on their homestand before hitting the road.